Saturday morning at 10am and again at 1pm we will have rides open to the public. Call to schedule. 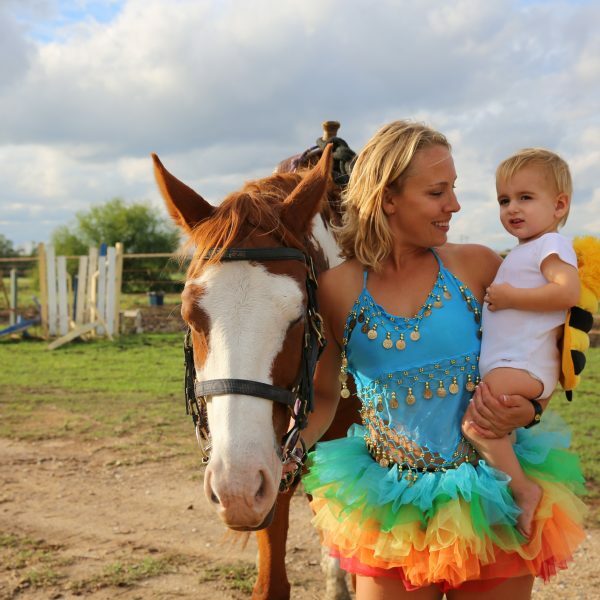 Leave room in your day following your horseback riding adventure to peruse through some family-friendly activities, all free to the public. Para informacion en espanol, haz clic! 1pm Yoga with Vardo Yoga: Come find your zen and practice some yoga in the great outdoors. Enjoy beautiful topography and shady trees. 2-5pm Bouncy House: Come bounce till your heart’s content! Who doesn’t love a bouncy house? Arts and Crafts: No community festival is complete without an arts & crafts table. Come, Lockhart, and enjoy the day! Relay Races: Probably the best part in the making. Picture it: Monster mash three-legged race, awkward scrambling around with a giant dinosaur head, deck your relay partner in toilet paper as a mummy before sprinting off to the check point. Prizes! Pumpkin Decorating: Make them scary, make them sweet, save the seeds for us to eat! Pumpkin carving and decorating for the kiddos or the inner kiddo. Your choice. 5pm: Commuity Event, MAKE A UNICORN: Children of Lockhart. We need your help. 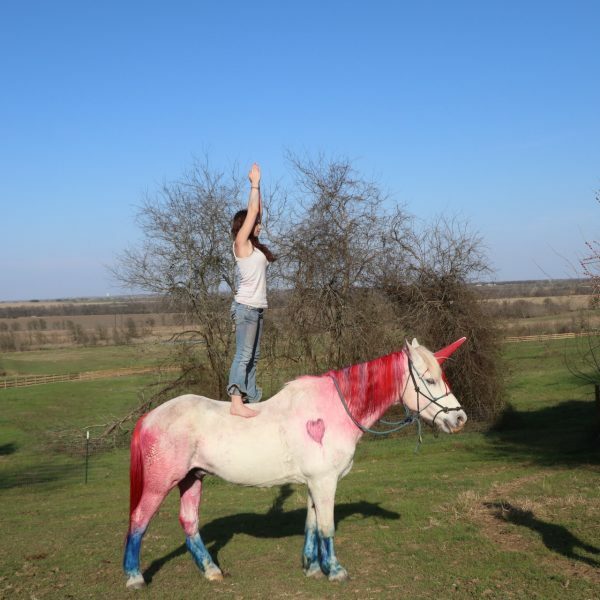 Maverick’s is requesting all skilled and unskilled unicorn enthusiasts to come help us create a real-life unicorn. This demonstration activity will require the help of assistants, to be called upon in the crowd! Our Monday night riding students will help facilitate this activity. It’s one of our favorites, so be sure to come by DRESSED IN YOUR FAVORITE HALLOWEEN COSTUME. Our photographer will be present and how can one resist the chance to take a photo with a unicorn in their Halloween outfit? 7pm Bonfire: BYOSmores! There is no better way to celebrate the fall season than a smokin’, cracklin’ bonfire. Bring some hotdogs for a picnic dinner and enjoy the sunset while you roast ’em up! Don’t forget the smores! 9pm: 21+ come join us for music, dancing, ongoing bonfire and good old fashioned camaraderie. Fun for the whole family till 9pm, and fun for adults thereafter.